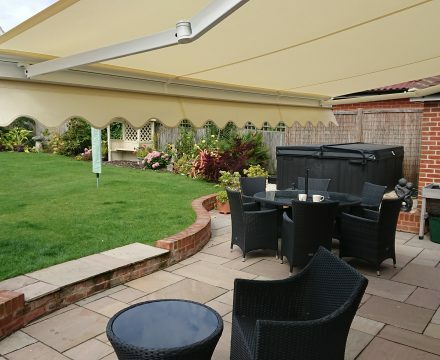 Want to spend more time in the garden, but worried about the British weather? 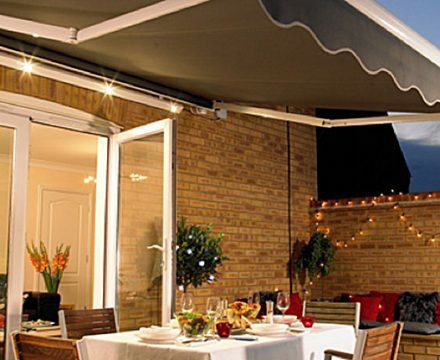 The addition of a patio awning to your home is the perfect answer. 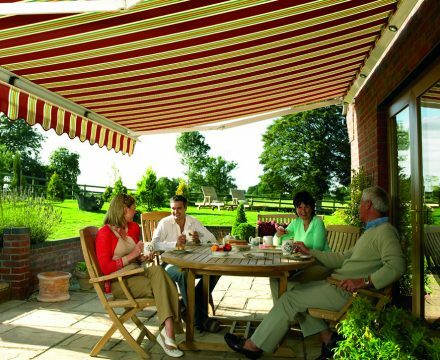 With so many practical benefits, versatility and the range of stunning fabrics to choose from, awnings are more popular than ever. 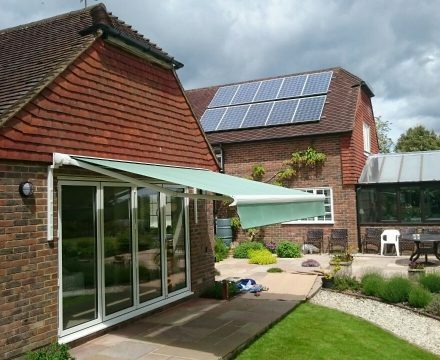 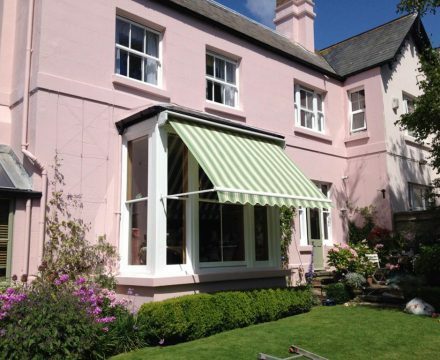 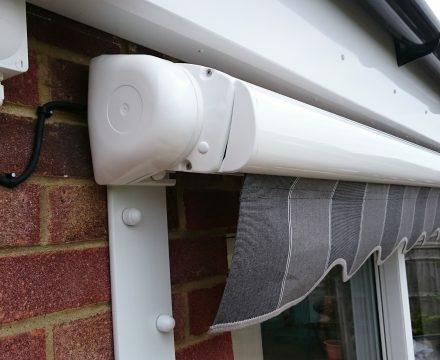 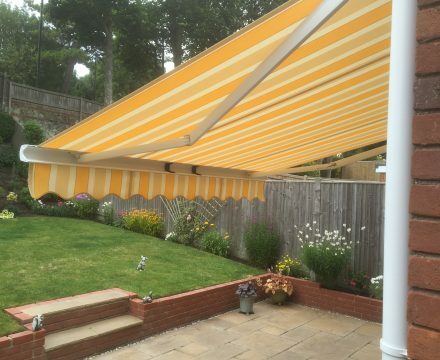 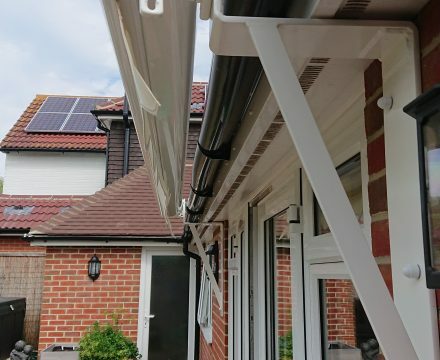 An awning will extend your living area into the garden, whilst offering you and your family full protection from damaging UV rays, and of course, those unpredictable British showers. 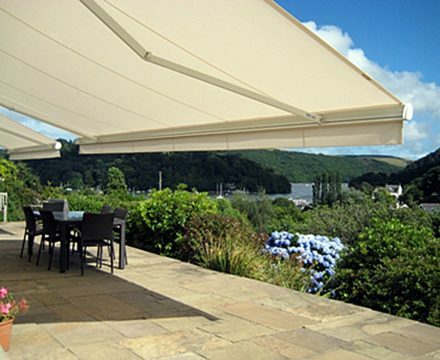 Ideal for relaxed and comfortable dining in the shade of the summer sun. 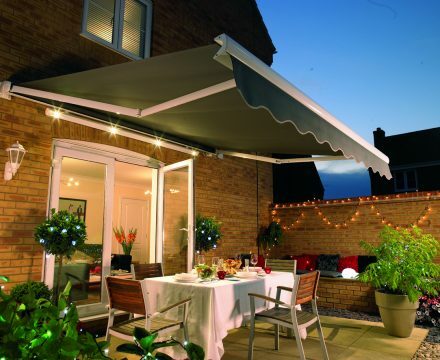 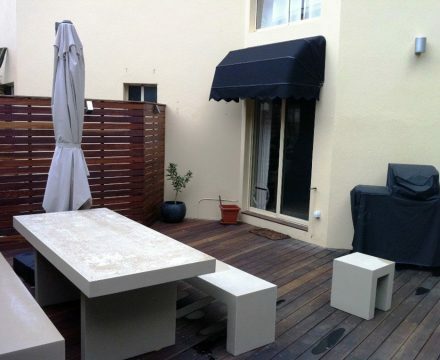 By adding a patio heater and a bit of lighting, your awning becomes a practical feature for cooler days and darker evenings. 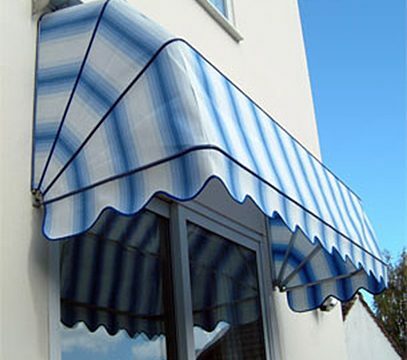 Even the hottest summer days, the shade from your awning will keep your adjoining indoor room cool and protect your carpets and furnishings from bleaching by the sun. 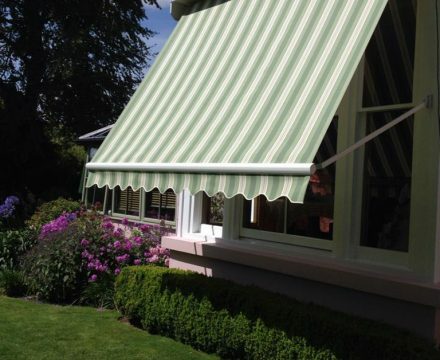 Our range of Dutch canopies are specially designed to enhance and compliment the exterior décor of any home, providing an elegant window shading solution. 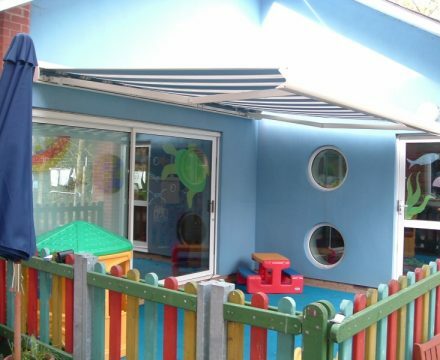 Their versatile design even makes them suitable for upper floor windows and where space is too limited for a retractable awning. 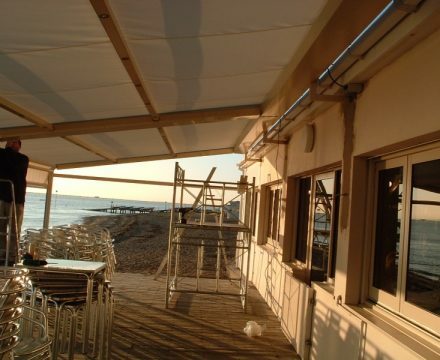 Commercial solution. 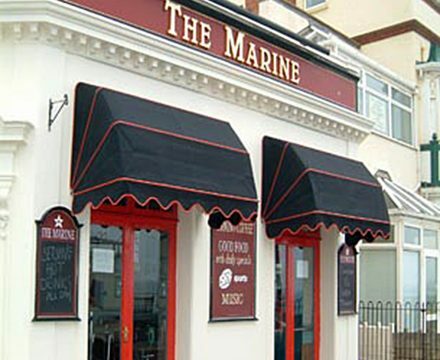 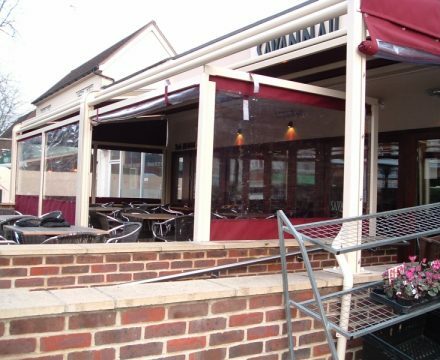 A large projecting patio awning may not always be the most practical way to deal with the unwanted intrusion of the sun on the high street or commercial setting. 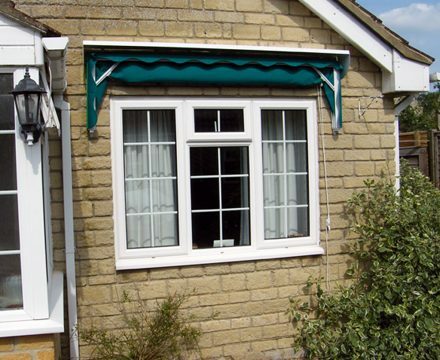 A traditional Dutch style canopy will enhance any shop front window and provide valuable protection from the sun’s harmful rays. 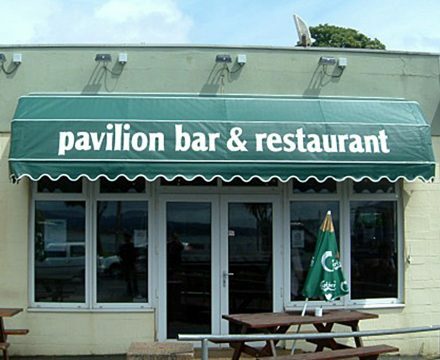 With your logo or sign writing applied, a canopy can further enhance the shop front to promote your business. 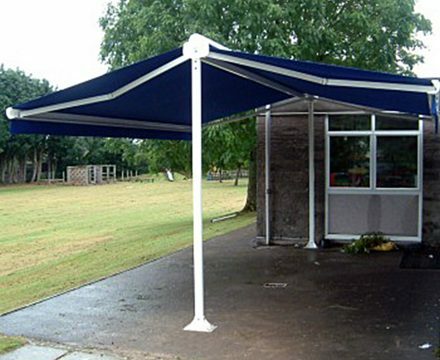 Dutch canopies can provide as much shade to the inside of a building as patio awnings, and in many cases, at a fraction of the cost. 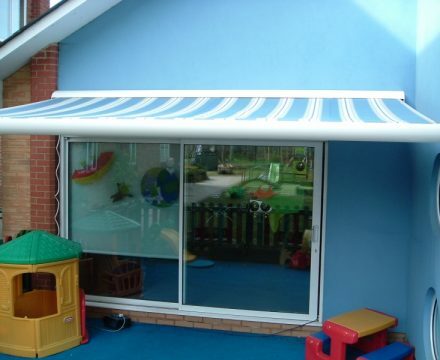 We can give you helpful advice to suit your individual requirements. 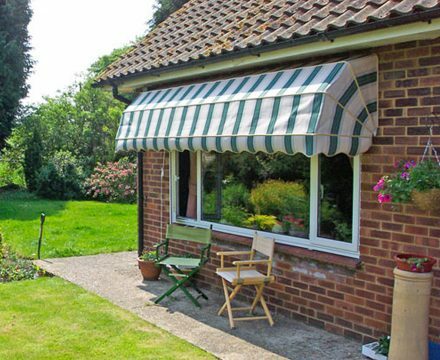 We visit you at your home or premises, providing advice without the pressure or obligation. 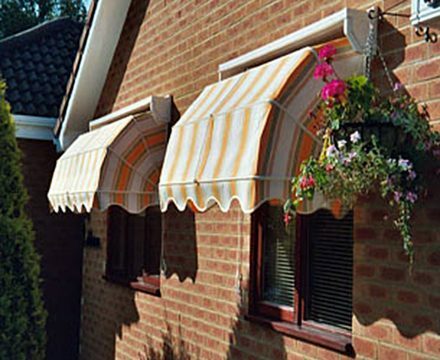 No pushy sales techniques or pressure to buy.